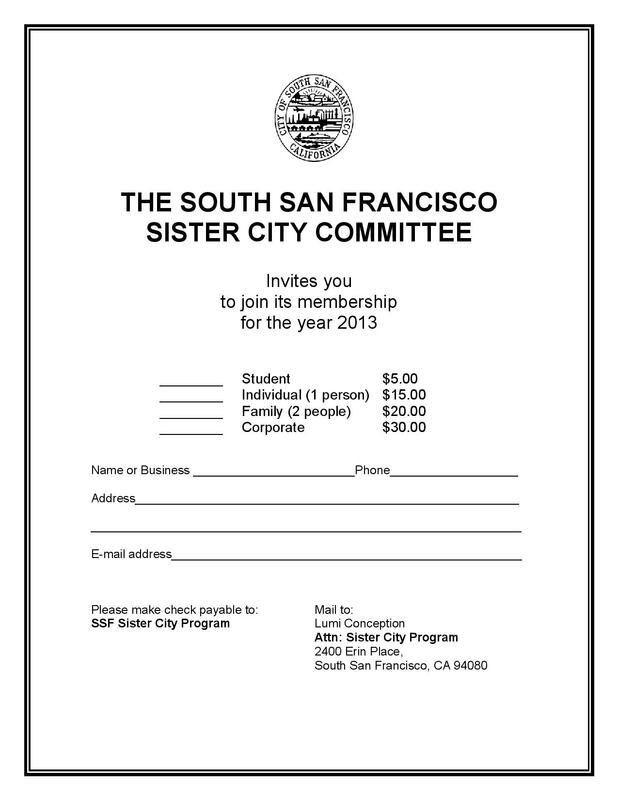 South San Francisco’s Sister Cities Committee – JOIN NOW! Have you ever been interested in working in Japan? Well tonight the South San Francisco’s Sister Cities meeting includes a guest speaker telling us about the JET program. This is an opportunity for college grads to work for a year in Japan teaching English. (note: no Japanese language skills needed). Come on by and check it out and join our Sister Cities Committee. Meetings are held at 7pm at the MSB (Arroyo) in the Betty Weber on Apr 16, July 16, and on Oct 15th. Get out and see the world! This shield is symbolic to the town of “Atotonilco El Alto” it emphasizes the imperial crown of Carlos I of Spain and V of Germany showing the letter “K”. This shield holds legends and myths of how the town was given its name. Atotonilco El Alto is located in the central region of the state of Jalisco. On the north side is Tepatitlan de Morelos and Arandas, to the south side is Ocotlan and La Barca. One of the town’s celebrations occurs on December 8 to celebrate “La Inmaculada Concepción”. The town is decorated with ribbons, fabrics, and traditional paper decorations. Music is played throughout the streets, fire crackers are lit, and fireworks illuminate the sky. Traditional crafts and foods are sold to gather funds for City improvements. The climate in Atotonilco El Alto is semi-dry, with winters that are dry and semi-warm like spring. The average temperature is 70 degrees; the rainy season begins in June and ends in September. Atotonilco El Alto obtains its wealth from 1800 acres of land that is used for a diversity of resources. Kishiwada, Japan Today’s Kishiwada City has been well developed since early times. Kishiwada’s prototype was a village with abundant marine and farming resources. In 1922, Kishiwada became the third city in the Osaka prefecture. It was the start of Kishiwada developing into the economic, cultural, and administrative nucleus of southern Osaka. Today, Kishiwada, located within 25 km (15 ½ miles) of central Osaka City, has a population of approximately 190,000 and an area of 70.87 km (27.4 miles). In September every year, a gala air prevails over downtown Kishiwada. A total of 32 Danjiri floats, each weighing about 4 tons, are pulled by energetic youths along the city’s main streets. More than 500,000 people visit Kishiwada to see the two-day festival. The Citizen’s Festival, which takes place in the Central Park on May 3, is perfectly managed and operated by city citizens themselves. Various events, including an open-air concert, “jazz dance” performances, and a bazaar, offer a good opportunity for citizens to deepen their mutual understanding and friendship. In Kishiwada there are 5 senior high schools, 11 junior high schools, 24 primary schools, and 27 kindergartens. The city operates 9 Kominkan community halls, citizens’ hall, a citizens’ center, 3 gymnasiums, and 13 playgrounds. Japan has a 6-3-3-4 school education system. Students receive compulsory education in primary school for 6 years and junior high for 3 years then may elect to attend senior high school for 3 years and college or university for 4 years. Lucca deserves to be seen and admired not only for the works of art it encloses, but also for being a rare and precious example of an almost intact historic centre. The urban structure is and has remained typically Roman-me-dieval. The cardo maximus and the decumaus macimus, the two main routes which divided the Roman castrum square hortogonally and met in the Forum (by the present Piazza San Michele, called “in Foro”) are still clearly identifiable I the two main directories represented by Via Cenami and Via Fillungo (north-south) and by Via Roma, Via Santa Croce )east-west). Rather evident, although more deformed and ruined, are even the minor routes (cardines and decumani minores) which run parallel to the former, dividing the urban surface into insulae. Within these blocks, the accumulation of building in the Middle Ages has formed a complex interlacement of alleys, little winding roads and inner courtyards, which are all connected to one another by vaults, passages and small irregular asymmetrical squares. From an architectonic point of view, though, the substantial stability of the urban structure does not mean that the town stopped a long time ago in history. On the contrary. Excluding the main churches, we can say that there are very few buildings and environments that have not been more or less deeply readapted in the centuries. The town has never stopped renovating itself, adapting to the new needs and to the changes of general taste. There are several different legends about the origin of the word “Pasig.” A pair of lovers, named Virgilio, a Spanish mestizo and a Filipina beauty named Paz, customarily spent their evenings together on the bank of the river. They found a banca and went boating one moonlit night but as fate would have it, the banca capsized. Virgilio not knowing how to swim was carried away by the current and desperately tried to keep afloat but to no avail. He shouted “Paz, sigue me” (meaning “Paz, come with me”), until he could only utter Paz, sigh and finally sink into the river. Thus, the name Pasig. It was also believed that it came from the Sanskrit word “passis” or sand and refers to the community on a river bank which was sandy. Historians who are less inclined to rely on a legendary romantic origins traced the town’s name to the word “mabagsik” meaning violent in action or force which aptly describes the river. Its strong and swift current brought the woods of Montalban to Manila. It was also called “mapaksik” by the Chinese living in Binondo. As time went on, “mapaksik” became “Pasik” then later on “Pasig.” Another belief was that it was derived from “pasigan” which means “baybay ng ilog,” river edge or bank in English. The most convincing theory on the origin of the name comes from the late Dr. Jose Villa Panganiban, linguist, polyglot, professor, and former director of The Institute of National Language, who said that “Pasig” is an old Sanskrit word referring to a “river flowing from one body of water to another,” in the case of the Pasig River, from Laguna de Bay (pronounced Ba-I) to Manila Bay. Pasig is directly under the jurisdiction of the Metro Manila Authority. Before it became a part of Metro Manila, it was the capital of the province of Rizal, then the premier province of the country. At the helm of the local government is the mayor, assisted by the vice-mayor and the municipal council. The Pasig Town Hall is the seat of government located at the end of a wide, well-paved, and well-lighted Caruncho Avenue in the center of the town. It has thirty barangays, each headed by a barangay captain with a barangay council that oversees the continuing projects of the barrio. Pasig is approximately 12 kms. East-south-east of Manila with a total land area of 3,100 hectares or approximately 31 sq. kms. Sprawled along the banks of Marikina and PasigRivers. The biggest barangays, each occupying 12% of the total area, are Manggahan and Ugong. Ranking third and fourth are Pinagbuhatan and Rosario, 11% and 10% respectively. Of the total land area, 85% is residential, institutional commercial and industrial use, 15% agricultural and open space. Pasig is considered urbanized in 85% of its area, and 15% is for agricultural use. 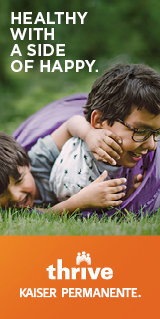 Native Pasiguenos are Tagalogs and are a close-knit group, somehow related with each other. The earliest settlers are from Taytay and Cainta and other neighboring towns, which already existed long before the coming of the Spaniards. Pasig was at that time an old sitio of Pinagbuhatan. People of Pasig are religious, literate, skillful, and industrious. They are warm, friendly, and hospitable. There are many migrants in Pasig that include Ilocanos, Bicolanos, Visayans, each proud of being a part of Pasig. Capital of Basse-Navarre, Saint-Jean-Pied-de-Port was an important town, cross-roads of the route to Saint Jacques de Compostelle, at the foot of the mountain pass, the Col de Ronceveaux. For these reasons Saint-Jean-Pied-de-Port has a rich history and architecture well worth a visit. The town was once a part of the Spanish province of Navarra and the Basque language is still spoken on both sides of the border and they still share similar traditions. It has traditionally been an important point on the Way of St. James, the pilgrimage to Santiago de Compostela, as it stands at the base of the Roncevaux Pass across the Pyrenees. Pied-de-Port means ‘foot of the pass’ in Pyrenean French. The routes from Paris, Vézelay and Le Puy-en-Velay meet at Saint-Jean-Pied-de-Port and it was the pilgrims’ last stop before the arduous mountain crossing. The cobbled rue de la Citadelle runs down hill and over the river from the fifteenth century Porte St-Jacques to the Porte d’Espagne by the bridge. From the bridge, there are views of the old houses with balconies overlooking the Nive. Many of the buildings are very old, of pink and grey schist, and retain distinctive features, including inscriptions over their doors. One, a bakery, lists the price of wheat in 1789. The 14th century red schist Gothic church, Notre-Dame-du-Bout-du-Pont, stands by the Porte d’Espagne. The original was built by Sancho the Strong of Navarre to commemorate the 1212 Battle of Las Navas de Tolosa where Moorish dominance of Spain was undermined. Above the town at the top of a hill is the citadel, remodeled by Vauban in the 17th century and outside the walls is a new town, with the Hôtel de Ville and a pelota fronton. I am not a member of SSFSC. I am interested in the JET program. I want to attend the July 16 meeting. Do I have to join the committee first, with $15, before I go to the meeting? Hi Janet, We suggest contacting Frank McAuley at call 829-3832. He’s great and will be able to give you more information. Enjoy.